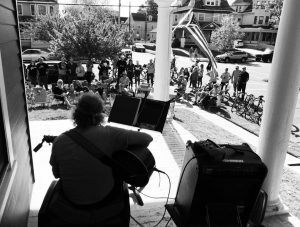 Asbury Park PorchFest will return Sept. 22, organizers announced Monday. 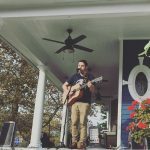 And with its return will be double the talent performing on more porches across the city in a mix of genres. At the top of the bill thus far are the city’s own Emily Grove, Chris Brown, Dark City Strings, The Vansaders, Waiting on Mongo, and the Porchistas. Founded in 2007 in Ithaca, NY, PorchFest quickly spread across North America. 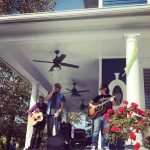 The annual events feature local bands playing music on the porches of their neighbors to foster community spirit. 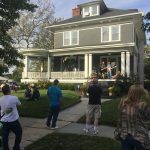 Today over 20 US and Canadian communities host PorchFest celebrations, including Napa, Calif., Salt Lake City, Ut., and Kansas City Mo. 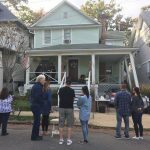 Organized by a group of city residents, headed by Asbury Park Housing Association Board member Jordan Modell, PorchFest made its debut local debut in October 2017. Modell, a self described music buff, said Asbury Park is a perfect location because of it’s welcoming community and the incredible amount of artists. 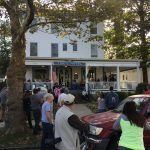 The inaugural event, which featured 43 bands and solo artists on 14 porches across the city, was held in support of the Asbury Park Environmental and Shade Tree Commission and 2017 hurricane victims. Modell said over 1,500 attended the event. 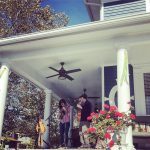 AP PorchFest 2018 will be held from noon to 5 pm Sept 22, with a Sept 23 rain date. The noon kick off returns to Booskerdoo Coffee & Baking Co, located at 1321 Memorial Drive. 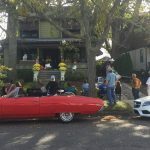 This year, 18 porches will host local bands and musicians for the day of celebrating the city’s musical heritage, talent, architecture, and community, Modell said. Event proceeds will go to Interfaith Neighbors, the City’s Public Arts Commission, and the Arts Coalition of Asbury Park, he said. Local businesses and families can support the event and its nonprofit partners by purchasing ads in the event’s program guide. Full page ads are $1,000; half page ads are $500; and quarter page ads are $250. 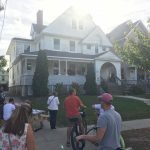 Asbury Park PorchFest T-shirts, which sold out last year, return and can be purchased for $15 in advance; $20 day of the event. To make a general donation, purchase a t-shirt or ad space, click here. 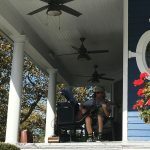 Asbury Park PorchFest 2018 runs from noon to 5 pm. For more about the event, bands, map, and schedule, click here.